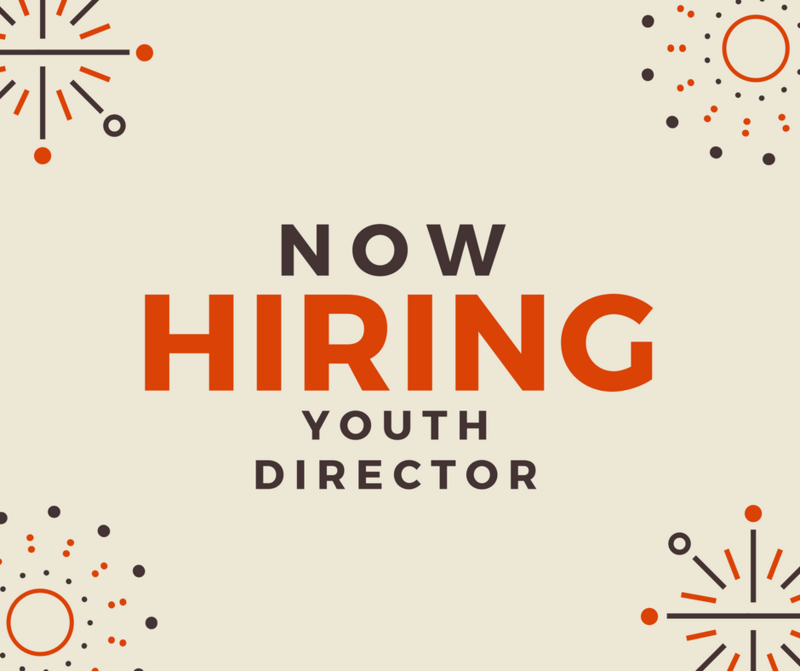 Paid part-time director of youth ministry for the cooperative ministry of the Meigs County United Methodists (also called Meigs County Parish). The director is responsible for building relationships and coordinating the ministry to youth in the churches of the Meigs County Parish. This includes Sunday morning responsibilities, Sunday evening gatherings, and special events. The position is one-third time, averaging 13 hours weekly. The director will report directly to the Parish Director in cooperation with the youth ministry leadership team. One will demonstrate a growing relationship with God, a learning spirit, and a desire to grow spiritually and professionally. Is one called to youth ministry, has the gifts to build relationships with students, parents, and volunteers, and has a desire to grow the ministry. An engaging teacher and leader familiar to faith in the Wesleyan tradition. If the director is not United Methodist, she or he must possess a spirit willing to learn and to teach the uniqueness of faith in the Wesleyan tradition. The director will build connections in the four pastoral charges of the Meigs County Parish. This will involve engaging with students on Sunday mornings. The director will coordinate weekly youth fellowship gatherings. The director will help coordinate yearly confirmation with the Parish Director. The director will meet with students outside of church events at least one time per month. This could include sports events, school activities, or other activities. The director will plan, in coordination with the Parish Director and youth ministry leadership team, a yearly ministry calendar. This ministry calendar will include events such as Resurrection, hands-on mission projects, youth outreach events, and other special events. The director is responsible for attending these events or coordinating with other leadership in consultation with the Parish Director. The director will participate in weekly staff meetings with the Parish Director. The director will participate, as time allows, in the full ministry of the church under the supervision of the Parish Director, and possess a willing spirit to serve in other ways that are needed. The director will report directly to the Parish Director. The deadline for application is September 17, 2018.